Having lived in our home for nearly five years now I am ashamed to admit that we have only cleaned our oven once. I am very anti-chemical so when I say we, I actually mean Pete. My recollection of it was that it involved a can of very harsh strong smelling foamy chemical, took a long time, involved a lot of 'elbow' grease and I remember the astringent odour we had to endure for several weeks after it was done. Hence, once in five years. 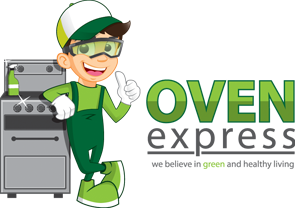 You can therefore imagine how happy I was to hear from the Sydney team at Oven Express who believe in healthy 'green' living and offer eco-friendly, non-toxic and fume free cleaning services. I was equally happy to hear that the products used are safe for people who suffer allergies like asthma and are safe for children, pregnant women and the elderly. Deep cleaning in the Oven Express van of oven racks, base and steel rack holders. We were able to use the oven that same night. 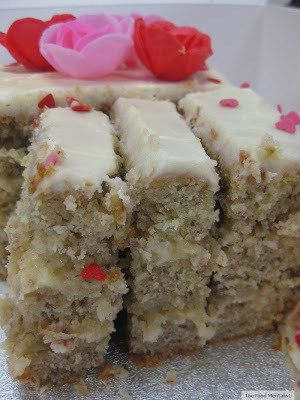 As you can see there is a significant improvement ! Oven Express operate across the Sydney region and offer a range of cleaning solutions for ovens, range hoods, bbq's, cooktops and microwaves. Tell me, how long has it been since you cleaned your oven? I cleaned my oven a couple of months ago, but it definitely did not look as good as that. Wow! Whoah look how it sparkles! That is AWESOME. I hate cleaning my oven. Thanks for all this helpful info!